MMA fighter Jordan Parsons was hit and killed crossing a highway in Delray Beach. Leaving the scene of a non-injury accident is a misdemeanor. If convicted, you may face fines and as much as 60 days in jail. According to the Department of Highway Safety and Motor Vehicles, the most important thing you can do after an injury accident is remain at the scene and call for help. The law requires you to remain and provide the same information detailed above. You must also render reasonable assistance to anyone injured, which may include making arrangements for the person to receive medical aid. (See Fl. Stat. §316.027, Fl. Stat. §316.062.) Leaving the scene of an accident that causes injury is a third degree felony punishable by up to 5 years in prison. Leaving the scene of an accident that causes a death is a first degree felony punishable by up to 30 years in prison. If you have been involved in an accident, especially if someone has been hurt, your first instinct might be to flee. But flight is the worst choice you could make, compounding any trouble you might be in. Your best bet is to turn to an experienced criminal defense lawyer. At Cotter & Zelman, P.A., we offer you the personal attention and trustworthy counsel you need to mount the most effective defense to the charges against you. 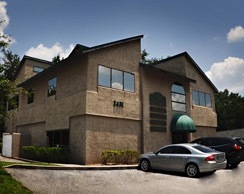 We represent clients in a wide variety of criminal matters throughout central Florida. Contact us about your case today.